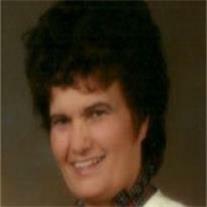 Johnson, Marjorie (Guinn), age 81, formerly of Mesa, Arizona, passed gently from this life to the next on January 16, 2013, in Orem, Utah. Marjorie was born in Phoenix on March 5, 1931, the second child of Roy Guinn and Nell (King) Guinn of Ajo, Arizona. She was preceded in death by her parents, a brother Gene, a sister Thelma Watson, a grandson Nathanael, and her beloved husband of 58 years, Frederick G. Johnson, Jr. She is survived by her brothers Gayle (Dianne) of Mesa, and Grant (Kathy) of Phoenix; her six sons McKay (Sue Anne), Lee (Elizabeth), Bryn (Lee Ann), Erin (Ginger), Webb (Vachelle), and Jared (Vicki); 23 grandchildren, and 24 great-grandchildren. As a childhood convert to the Church of Jesus Christ of Latter-day Saints, she led her parents and siblings into life-long, active membership in the Church. She devoted her life to the raising of her sons, to the care of other family members, and to service in the Church. Many of her Church callings drew on her magnificent musical gifts as chorister, pianist, and vocalist. She was also a talented artist and author with numerous original paintings and stories to her credit. Visitation will be from 6 to 8 pm, Thursday, January 24, at Bunker’s Garden Chapel 33 N. Centennial Way, Mesa AZ 85201 (telephone 480 964-8686). Her funeral service will be at 10 am on Friday, January 25, at the LDS Beverly Ward Chapel, 1054 W. 2nd Place, Mesa AZ 85201.